Live front and center at Emblem, brand new luxury apartments in Newark DE just steps away from the shops and restaurants at Christiana Mall and moments from I-95 and Route 1. Outfitted with chic finishes, stylish features, and an inspired collection of amenities – from a resort style pool to an endlessly entertaining game room – Emblem is all about iconic style with incredible access. Select from high-impact 1-, 2-, and 3-bedroom floor plans. 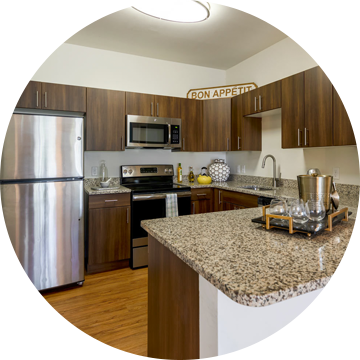 Claim your stunning Newark apartment today! Learn more about Emblem’s signature perks.